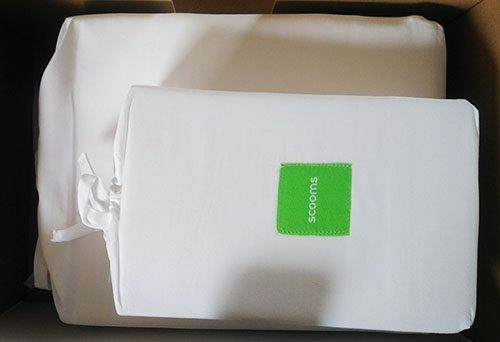 Scooms have a fantastic duvet that I love sleeping under so was very excited to try out their bed lined set alongside it. And I wasn’t disappointed! A perfect accompaniment to their the duvet, the 600 thread count sheets provide a fantastically comfortable base for sleeping on and the crisp white duvet cover is equally as nice to lie underneath. I won’t bore you with too many of the details but trust me when I say they tick all the right boxes with the scooms bed linen. Egyptian cotton is always a winner when it’s on your bedding. 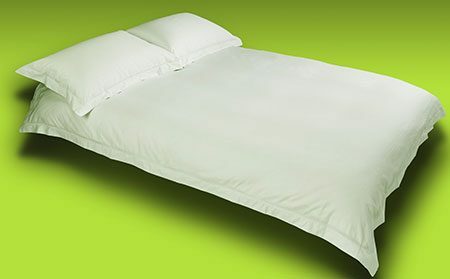 It’s softer and more breathable than other cottons making it far superior and much more comfortable to lie on. And it has a huge 600 thread count which is massively high for the price it is! With thread count, the higher the better up until around 800 where it starts to get a little iffy, but nowhere else can you get a fitted double sheet with a 600 thread count for £40. What the heck is that I hear you ask? Basically it’s a regulation that says these sheets are germ, toxin and chemical free meaning they are 100% safe to sleep on. Which you’d think would be a minimum requirement but you’d be surprised. I liked a lot of things about all of the bedding I tried but I think my top two are the luxury feeling of the bed sheet and the no plastic approach to packaging. Yup no plastic involved, The various linens get put inside a fabric bag and those get shipped inside a cardboard box. I love that thought of sustainability and minimising waste. Plus the no-brainer that is, of course, the comfortable sheets! The duvet with both layers didn’t seem to fit quite right inside of the duvet cover, there is a slight wrinkling, not enough for it to be a major problem but I like to be thorough in my reviews and include everything. You get a 1-year guarantee and free next day delivery from DPD. I looove free shipping. Click here to visit Scooms and order yours today! I have an affiliate relationship with some companies where we get a percentage of sales if you click over from our site. This is at no extra cost to you and how I pay the costs of running this site. I'm Kieran an award-winning sleep blogger and I created The Dozy Owl, I believe that a lack of sleep is a national crisis and if we can master our sleep we can do anything.